Former Liverpool striker Stan Collymore has confessed he would love to see Manchester City’s Sergio Aguero at Liverpool in the future. The Reds are currently top of the Premier League and flying after a 100% start to the season in all competitions. Their latest win came on Tuesday night in the Champions League against Paris Saint Germain, with Daniel Sturridge, James Milner and Roberto Firmino grabbing the goals in a 3-2 win at Anfield. Liverpool have scored 14 goals so far in the early stages of the 2018-19 campaign, but Collymore insists that the club is still missing a traditional centre-forward capable of leading the team in attack, as he stated in response to a question asking who he would love to see sign for the club on Twitter. “A centre-forward. Know that sounds odd but an Aguero type striker is the difference in my opinion,” said the 47-year-old. “Love Bobby but an out 9, greedy for 30+ goals will take pressure off everyone else. Mohamed Salah scored 32 Premier League goals and 44 overall last-term, despite playing on the left-hand side of an unorthodox front-three alongside Roberto Firmino and Sadio Mane. 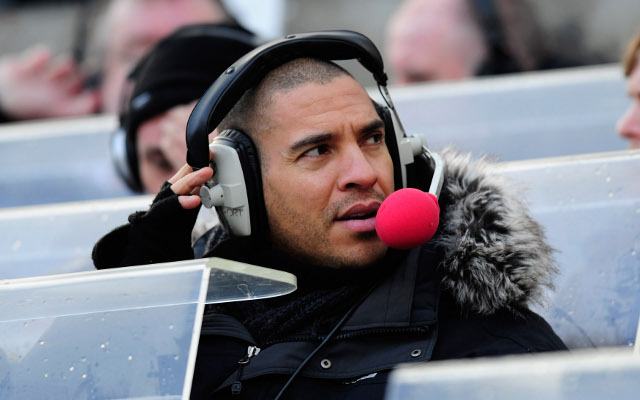 Between them, the three men already have 8 goals so far this season and look set to continue their goalscoring exploits in the coming months, but despite their obvious success, Collymore is still adamant that Liverpool could be more potent with an out and out number 9. Know that sounds odd but an Aguero type striker is the difference in my opinion. Love Bobby but an out 9, greedy for 30+ goals will take pressure off everyone else. The Reds look capable of challenging for silverware on all fronts this season and still have Sturridge in their ranks as an orthodox striker, so it seems extremely unlikely that Aguero will line up for Jurgen Klopp’s men anytime soon. It may be just a pipe dream, but the prospect of the Argentine hitman playing in Liverpool’s team is a tantalising one nonetheless, particularly as he continues to break records for Manchester City and set the standard as one of the most dangerous strikers in world football.